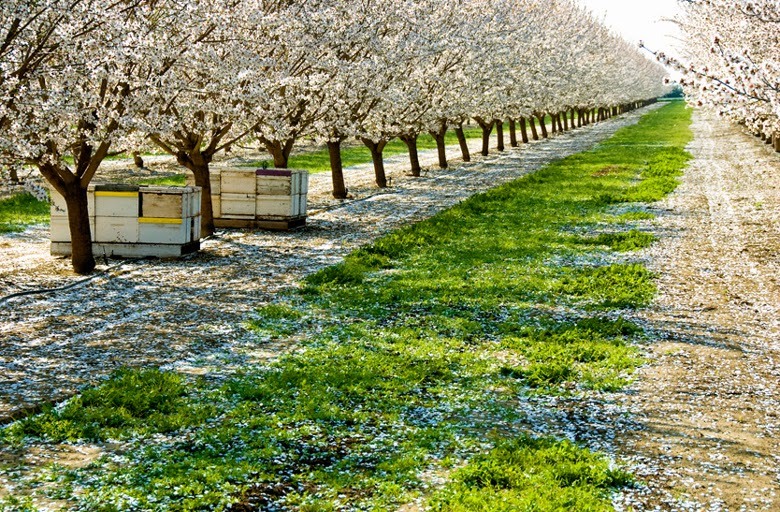 Orchard in bloom, Earlimart, CA. Image from Voices of the Valley. Finding brilliant source material is always a fun part of the research process. Many of my short stories are set in the rural heart of California. When I was younger, I spent a lot of time on a grape farm in the town of Earlimart, just north of Delano. Compared to where my family lived in Los Angeles, Earlimart was dusty, hot, eerily beautiful, and quiet. In the city, my parents fussed over my sister and me. Scared of what they watched on the evening news, my parents kept us on a short leash. In the country, we were free to run around and ride our bikes wherever we wanted. I remember sifting through the dust in the neighbor's orchard, gathering the almonds the boom shakers and pickup machines had missed. I remember playing on the edge of irrigation channels of rushing water that could've easily swept my sister and me away. 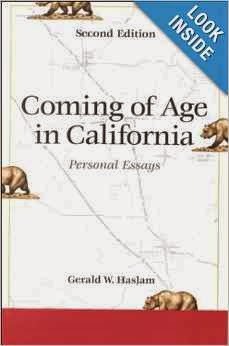 Currently, to help me get back into the mood of this place, I’m reading Coming of Age in California, a collection of essays about growing up in California’s Central Valley, an area about the size of Egypt that is some of the most agriculturally-productive land in the world. The author, Gerald Haslam, is a professor of English at Sonoma State University. His evocative storytelling weaves together childhood memories, coming-of-age heartbreaks, and retrospective truths, all in the heartland of my favorite state. In one essay called “Reflections from an Irrigation Ditch,” Haslam finds himself at age twenty-one, heartbroken and floundering. He’d just broken up with his girlfriend and dropped out of school. His uncle hired him on the farm. He employed me to dip, slice, and plant seed potatoes…I planted many personal seeds, too. One shirtless afternoon, for instance, straddling a vat of corrosive sublimate solution while pulling sacks of soaking seed potatoes from it, I slipped and was immersed. Fifteen years later, a surgeon would carve a black lesion from my chest, identify it as cancer, and tell me that I was lucky indeed that it had been removed so early. We talked about what might have caused it, and I remembered that sun, that vat, that youthful invincibility—all gone. At times, Haslam’s essays meander too much, taking desultory turns when I wish they’d linger. But as in the excerpt above, when he frames the past with the future and digs down deep, his prose is flawless. If you're looking for a memoir that will break your heart and put it together again, I highly recommend Coming of Age in California.